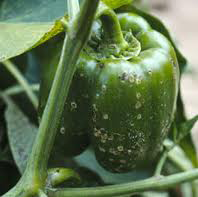 Francis Chaboussou, in his book, Health Crops, states that spraying of chemicals is the cause of disease pressure in crops. Dr. Carey Reams says that all disease pressure in plants is directly related to nutrient deficiency in the plant. Foliar feeding with plant available nutrients helps to build immunity to ward off disease so you don’t have to. This is because insects and pathogens instinctively know what type of plant material they can digest. Depending on the insect, the digestive system can be rather simple or actually fairly complex. But insects won’t attack healthy plants because they actually can’t digest them. Learn more about how to test your plants to see how healthy they really are. 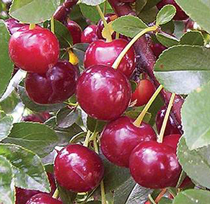 Most people think that some fruit tree varieties are just bred to bear fruit every other year. This isn't true. Nature wants to produce each season but it can only do what it can do with the resources it has. Nutrient deficiency is the reason for a tree to have an "off year" where it produces less or nearly no fruit.